First and foremost, employers must remember that, under the Occupational Safety and Health Act, they have a duty to provide a place of employment that is free of recognized hazards to employee safety and health. However, this may mean different things to different people when it comes to guns in the workplace. For example, for many, this may mean a workplace free of guns, but for others, a gun is necessary to ensure the safety of the workforce. For employers, it is a complicated issue as there are important factors to consider, including state and local laws, workplace policies and violence concerns. Employers have the right to prohibit their employees from carrying weapons, even concealed guns, into employer-owned property (e.g., workstations and locker rooms). However, many states put certain limitations on an employer’s ability to bans guns at work. Employers should be careful not to run afoul of state laws regarding firearm possession and the right to carry. For example, almost half of the states have so-called “guns in trunks” or “guns in the parking lot” laws. While the statutory details may vary from state to state, these laws generally allow employees to keep lawfully possessed firearms in their locked personal vehicles in a company-owned employee parking lot or garage. Most of these laws also require the firearms to be concealed from view and locked in a trunk or glovebox of an employee’s car. Therefore, in these states, employers cannot prohibit employees from keeping firearms in their personal vehicles. Importantly, most of these laws do allow an employer to prohibit employees from storing firearms in company-owned vehicles. Employers wishing to ban the storage of weapons in company-owned vehicles should make this clear in their weapons policy. They should also ensure they are up to date with their state laws as they are always changing. For instance, West Virginia just passed their own “guns in the parking lot” law, which goes into effect on June 8, 2018. Another state-specific issue that employers have to be aware of is required postings. Some states mandate that certain notices be posted if the employer intends to prohibit possession of weapons on its property. For instance, holders of handgun licenses in Texas are allowed to carry their handguns in an open manner, so long as the handgun is secured in a shoulder or belt holster, as well as in a concealed manner. If Texas employers wish to prohibit concealed handguns and/or open carry in the workplace, they must post two separate notices, each including specific language required by statute. 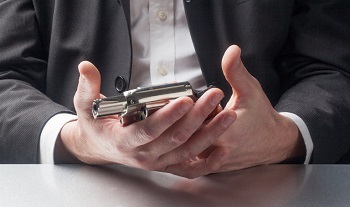 Typically, an employer addresses weapons in its workplace violence policy. However, because of today’s climate and the increase in “guns in the parking lot” laws, employers would be prudent to highlight their position on the extent to which weapons may be carried on company property in a separate and well-defined policy. Again, no state prohibits employers from adopting policies prohibiting employees from bringing firearms into the workplace, even those employees with permits to carry. A weapons in the workplace policy should explicitly state the parameters of what weapons are banned and where they are prohibited. For example, an employer who wishes to prohibit all possession of weapons on company premises should clearly define company premises. This term is generally defined as property owned or leased by the organization. However, before an employer includes company-owned parking lots in its definition, it should ensure that its state does not have a “guns in the parking lot” law. A policy should also define what is considered a weapon so employees have an understanding of the types of items not allowed in the workplace. Examples of weapons that are typically prohibited are firearms of any kind (e.g., guns and rifles), knives, ammunition, and bows and arrows. Employers should also include a reporting procedure for employees to follow when, in good faith, they believe an employee, client or visitor is in violation of the policy. Employees should be assured that they will not be subject to retaliation for reporting a suspected violation. This same policy should also address disciplinary actions to be taken against those held to be in violation of the policy. At periodic intervals (e.g., quarterly or annually). Employers may also choose to post notices throughout the workplace detailing the weapons that employees are barred from carrying into the workplace. Again, as discussed above, some states may have posting requirements dictated by statutes or regulations so employers should check their state laws to ensure compliance. There are very strong opinions on both sides as to whether allowing employees with concealed carry permits to bring guns in the workplace will deter or increase the risk of workplace violence. As occurrences of workplace shootings seem to be increasing, many employers are facing this very issue as they strive to ensure the safety of their employees. However, before making a determination, employers should consider the issue in a thoughtful manner. Employers should contemplate consulting with local law enforcement to get a sense of whether allowing guns in the workplace would inhibit or assist their response to an active shooter situation. Also, employers should gain an understanding of employees’ concerns and how they may react if guns are allowed in the workplace. Finally, employers should be sensitive to both sides of the debate. For example, one employee may believe that guns in the workplace may better protect them in the event of a violent situation, while another may think it poses increased safety risks. 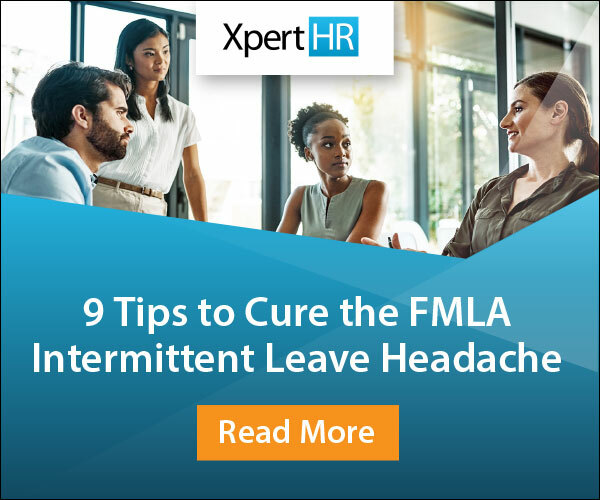 It’s a delicate and complicated situation so employers should take care to make the decision that best suits their organization and work culture, while at the same time ensuring compliance with applicable state and local laws.